Picturing my Goals for 2018! My BIG goal for 2018, which is also a lifetime goal of mine, is to be a published author/illustrator. AND I have some exciting news to share – my publisher recently provided me with very positive feedback on my “Roughs” drawings for my kids picture book which means I am one step closer to reaching my dream! The process for illustrating a picture book is: Storyboard (done) – Roughs (done!) – Finals (now doing!!). So I am now in creative ‘lock down’ in my art studio in Brisbane to paint the 32+ pages of my kids picture book on the challenges facing the Great Barrier Reef. My book illustrates the impacts of climate change on the Great Barrier Reef with messages of hope and ocean optimism #haveGBRhope. AND the release of my story in 2018 also aligns to the International Year of the Reef!! 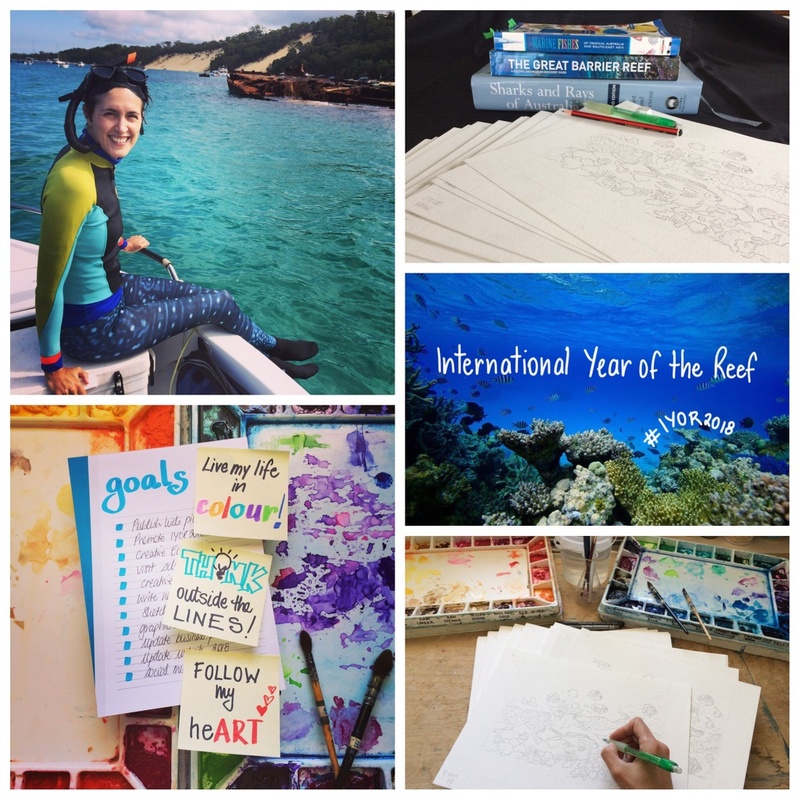 So I will be celebrating #IYOR2018 by sharing my visual Reef stories throughout the year. You can ‘sea’ more about my Reef story and the illustration process and progress via The Great Barrier Reef. I am very much looking forward to another creative year of illustrations, infographics and idea shaping! I can’t wait to publish my first picture book, keep visiting schools and centres as my alter ego Dr Suzie Starfish, create new creative collaborations and help to “Picture your ideas“! You can also follow my creative journey as Dr Suzie Starfish on Facebook and at @suepillans on Twitter and Instagram. Best fishes for a GREAT 2018! !